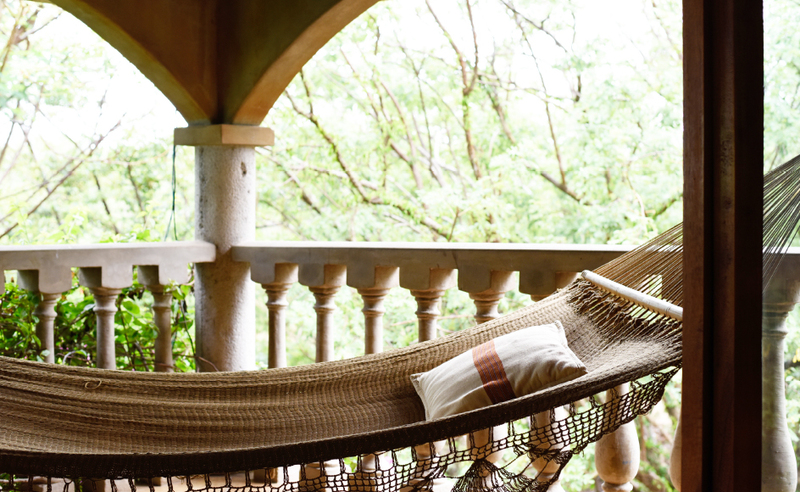 Step inside the 4-bedroom villa at Cloud Farm, set on 500 tropical acres of private reserve. Yep, it’s all yours for the taking with rooms that open onto an infinity pool 1,200 feet above the bay. At this hush-hush hideaway, the jungle setting stays relatively cooler (and quieter) than in town, meaning you can pleasantly kick back and sway away your cares between surf sessions. The lush grounds are also home to organic gardens and farmland where most of the ingredients for your meals are grown onsite. So, what are you waiting for? The door’s open. 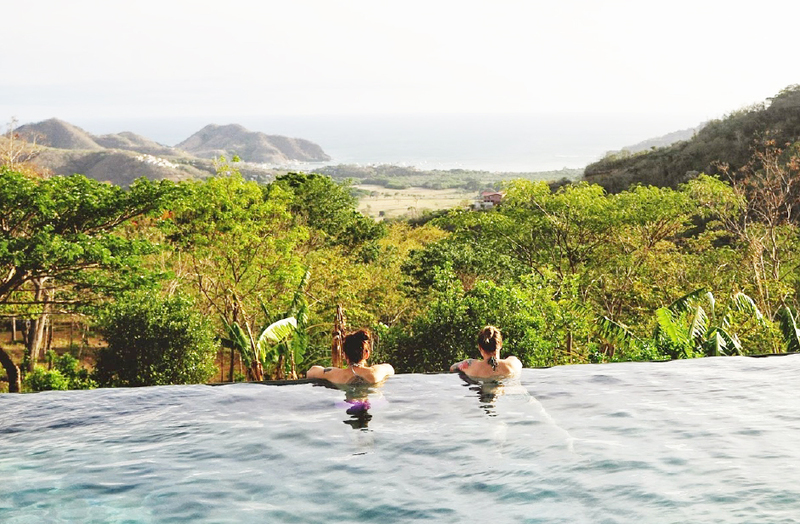 Cloud Farm is tucked in the hills above San Juan del Sur, the charming little surf town on the southern Pacific Coast of Nicaragua. This is “the place” to get away from it all, within 500 acres of indigenous forest and farmland. Most of our food is organically grown onsite; Fruit, vegetables, coffee, eggs, milk—you name it, we grow it (or squeeze it). 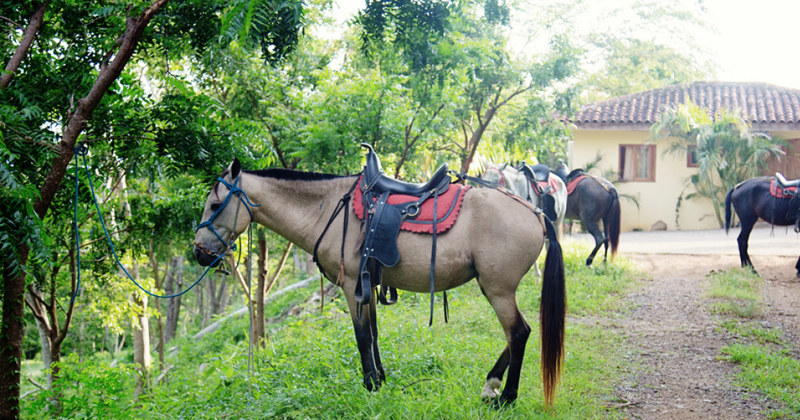 Explore the jungle on horseback or milk the cows at the crack of dawn (you crazy early risers you!). Or, simply follow status quo, ditch the shoes, and lounge by the pool between surfing, massages, and yoga. Don’t worry, we called your husband and he said to save you a spot. “It’s okay to be scared. When you arrive at Chica Brava surf retreat, we’ll run you thorough the property, orientation, and the week’s schedule. Below is an example of a typical week in our hood. 9:00PM Last night out on the town! We also specialize in the following custom packages for all occasions, experience levels, and ages. and get $300 OFF! Contact Us! * Discounts available for groups, returning guests, and longer stays.